PLANTATON, Fla. – Amateur David Rose of Vancouver, British Columbia, birdied the second extra hole Wednesday (pictured above) to win a playoff between two first-time starters on the Fuzion-Minor League Golf Tour. 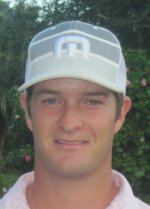 Rose, 22, outlasted Justin Ahasic, 31, of Naples after they tied at one under par 70 on the East course at Jacaranda Golf Club. After they matched par-4s on the first hole of the playoff, Ahasic’s tee shot at the par-4 second hit a tree and dropped well short of his fairway target. He reached the green in three and missed a 20-foot par putt. Moments later, Rose birdied from 15 feet for the win. In regulation, Rose had four birdies and three bogeys, Ahasic three birdies and two bogeys. It was the 16th win by an amateur in 818 tournaments staged by the MLGT since starting in August, 2004. Rose received a merchandise certificate for $625. Ahasic, low pro and second among 23 starters, collected $500. Devin Kay of Potomac, MD was third with 71 and Mike Larkin from Gibsonia, PA shot 72 to finish solo fourth. 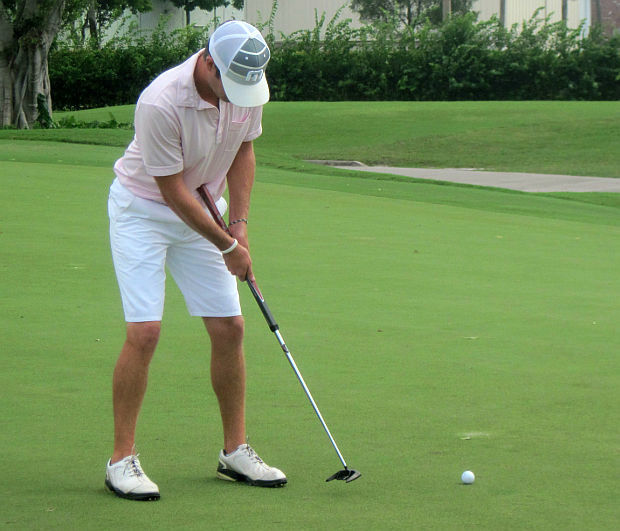 A third straight one-day tournament is scheduled Thursday at Ocean Breeze GC in Boca Raton. The 54-hole Sunshine State Classic follows next Monday through Wednesday (Nov. 7-9) at Fountains CC-South in Lake Worth. There was $100 in the skins pot with 10 skins out worth $10 each.